I am fundraising to send 71 street kids back to school. Every little support counts! 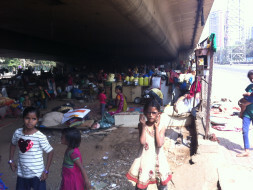 There is a group of families from Gujarat and interior Maharashtra that live under the Kandivli flyover bridge since a few years. Their kids were simply whiling away their time on the streets and were headed for more poverty or worse. One college student Prince Tiwari took the initiative and got them admission into a regular school near the bridge last year and I have been working with him to fund their education, school uniforms, books, snacks as well as on mentoring them for after school studies, sports. There were 24 children whom we got through the first year and now all the families from that community want their children to join so the number has gone up to 71 children this year. All 24 kids passed their grades (the kids range from 5 to 12 years age), passed with a few of them getting high marks. So school has started in June and we only have a handful of them in the school so far and so most of them are missing school days right now. We will raise about $400/₹25,000 per year per child or about $30k/₹1.8 million for the 71 children of that community. So for a little more than half of what it costs to send a kid to college for a year in the USA, an entore community of children will go to a decent school. The money will go to Annual Admission fees, Monthly fees, Books and Uniforms. 1) Aren't there free municipal schools they could go to? Yes there are, but we think children deserve a decent education that will give them a shot at escaping lifelong poverty. 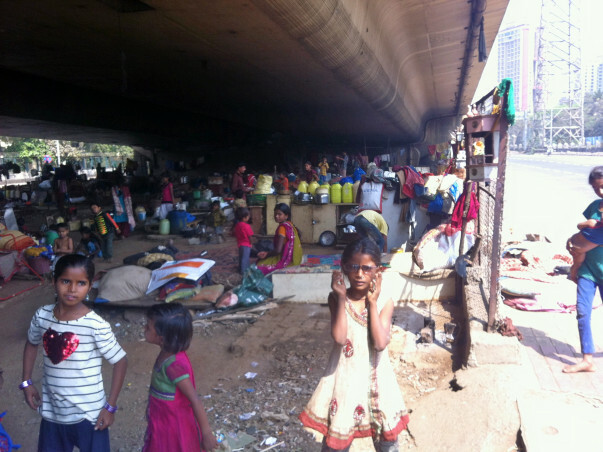 2) Why focus on this set of children, surely there are thousands of children in similar situations in Mumbai and elsewhere? Yes there are, but we had to start somewhere and some of the volunteers live in the area near the bridge. 3) Can I sponsor a particular child? If you wish to sponsor a particular child and contribute $400 (₹25,000) and are committed to seeing him/her through school with an annual contribution, we can link your contribution to a specific child and provide their name and progress reports. Thanks to your generous love and support, most of the older kids are in school. We still have many more to go. Thank you all! Do support our cause. God bless all. Thank you Abhinavbhai for posting on FB.